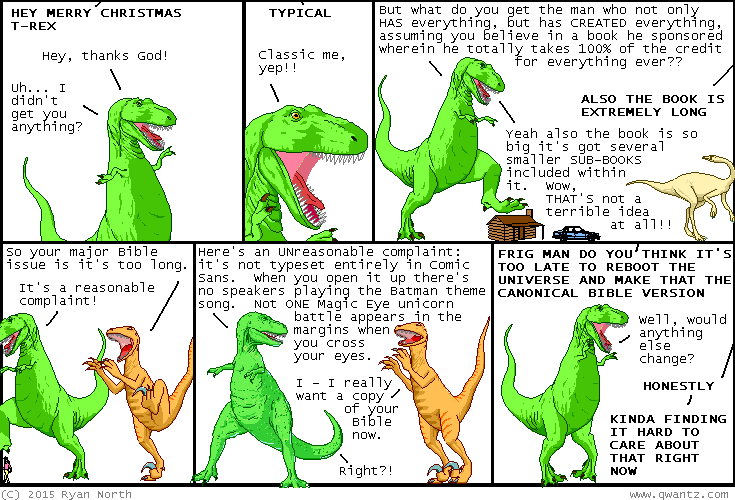 Dinosaur Comics - December 21st, 2015 - awesome fun times! –I know! Let's watch a movie to find out! December 21st, 2015: woo comics WOO!! If you live in the US and are willing to pay for speedy shipping, today is the very last day you can get the best merchandise ever in time and have it arrive for Christmas. But should you? The guy who makes the merchandise says: yes! !